Each potential employee has to undergo a thorough screening prior to being offered a position with Advanced Home Health Solutions. 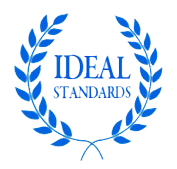 Advanced Home Health Solutions has Ideal Standards for the employees we hire. Each applicant must successfully pass both written and skilled competency testing, successful Ohio Department of Law Enforcement Background Screening; work history is evaluated then verified and drug testing is randomly performed. A physical and negative Mantoux (TB)test is also required. We feel very comfortable and confident that you will be impressed with our employees. We’re so sure, we guarantee it!! Advanced Home Health Solutions, LLC. pays all employer related taxes for each of our staff. There is no client responsibility for any of these fees. Each employee receives a W2 at the end of each calendar year. 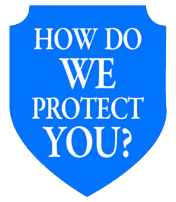 Advanced Home Health Solutions carries General and Professional Liability Insurance which match industry standards. Employees are supervised by a registered nurse at least once every 60 days with client approval. Client progress reports are produced monthly by Advanced Home Health Solutions and are sent to family members/guardians/POA’s or as directed by the client. Advanced Home Health Solutions recently completed a survey of local Home Care Agency fees.